Invest in the best kind of liquid assets. Join our Preferred Share Wine Club and receive priority access to Laughing Stock's award-winning wines. 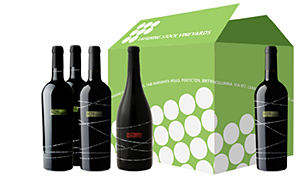 The Preferred Share Wine Club pays regular dividends of wine deliveries direct to your door, with FREE shipping across Canada. Designed for collecting and cellaring, the Series A Preferred Shareholder enjoys guaranteed full-case (12 bottles) on any or all of our releases including our limited production wines. Pricing varies and is billed according to the cost of the wines you have selected as they are released. 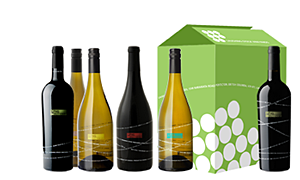 The Preferred Share Series B option is perfect for wine lovers who wish to receive a diversified selection of 6 bottles, shipped to you three times a year. It offers members the opportunity to sample all the wines that are released each vintage. 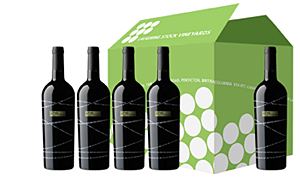 The Preferred Share Series B - Reds Only option caters to those who only want to receive our red wines (no white wines). Our Series B - Reds Only Shareholders receive a diversified case each year (12 bottles) of red wines only, shipped to them in the Fall. It offers members the opportunity to sample all the red wines that are released each year including Portfolio, Blind Trust Red, and Syrah. Option to stay in the Winemaker Residence, a weekly vacation rental for Preferred Shareholders only. This is not an offer to purchase or sell securities, but rather an offer for you to enjoy our wines. Consult your palate before investing further. This club is for residents of ALBERTA ONLY.